White Iron Shepherds Hook rentals are perfect for Santa Barbara Park ceremonies where traditional hooks are not allowed to be pushed into the grass. 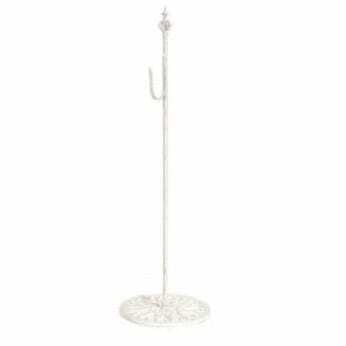 The wedding ceremony shepherds hooks are self standing and approximately 30 inches tall. This rental can also used to hang plastic mason jars with LED tea lights. Beautiful for lighting a pathway! Easy to use and install this rental is a must for any Santa Barbara park wedding or garden ceremony. At just $2.75 each, this rental is great for the earth and easy on your pocketbook.